Photo shows Sharpham Park for M&S; (From left to right): Spelt Honey and Pumpkin Loaf (300g, £2.70), a White Sourdough Bread with Spelt and Rye Leaven (400g, £2.70) and a Spelt Fruit and Nut Baton (300g, £2.70). 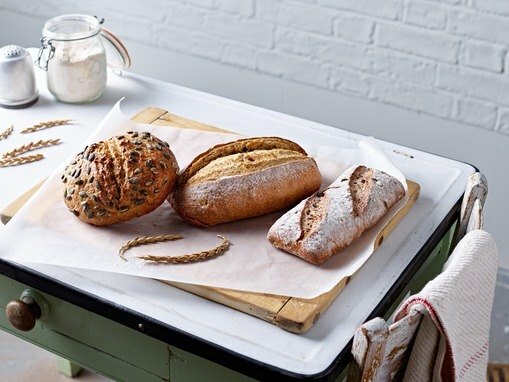 The ‘Sharpham Park for M&S’ range will consist of three tasty loaves made from Sharpham Park organic spelt, including a Spelt Honey and Pumpkin Loaf, a Spelt Fruit and Nut Baton and a White Sourdough Bread with Spelt and Rye Leaven. 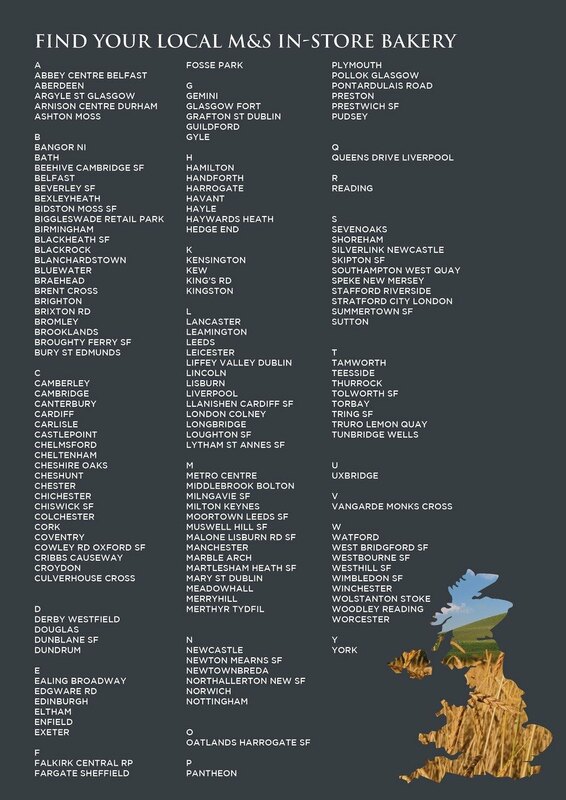 Our team has been working closely with M&S to ensure the finest quality ingredients are used and the flavours are delicious. The result? A range of enticing spelt artisan breads which are the perfect example of the very best in British food. Marks & Spencer is set on championing ‘home-grown heroes’ just like our founder, Roger Saul, who is British born and bred! Roger, who is now known as the ‘Champion of British Spelt,’ was recently interviewed on BBC Radio 4 Today programme expressing his viewpoint on the positive opportunities for food and farming in the UK post-Brexit. This brand new range of spelt breads are our latest venture to shout about how spelt-acular spelt is - we hope you pop down to your closest M&S and enjoy a loaf…or all three!